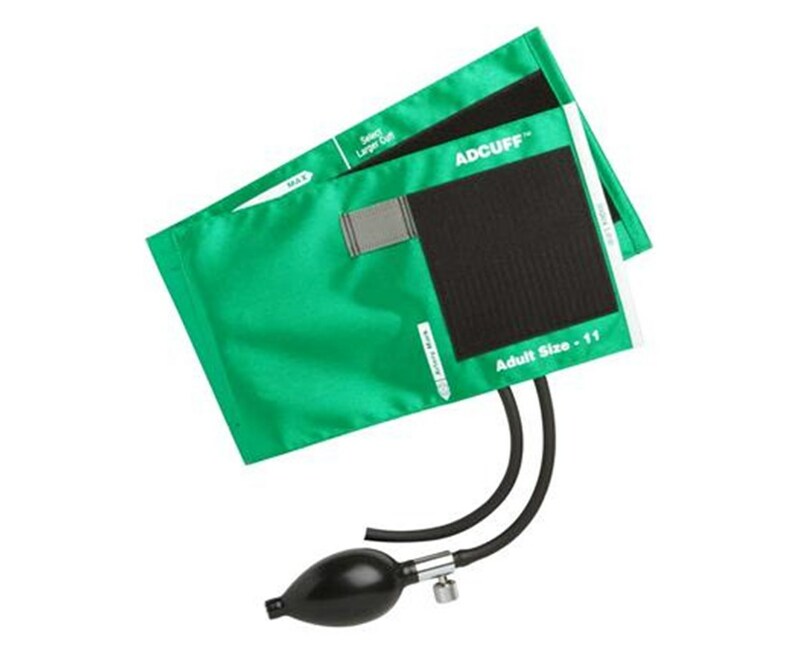 This cuff and bladder inflation system from ADC is made from soft, durable latex-free materials and is compatiable with most palm style aneroid blood pressure monitors. 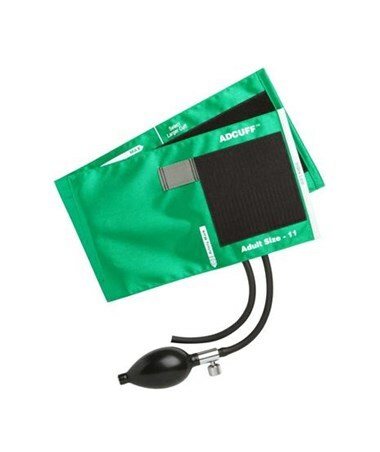 Adcuff system: This aneroid features the complete Adcuff inflation system; this includes an Adcuff nylon cuff in your choice of size and a latex-free PVC inflation bulb and bladder with 1 x 25cm tube and 1x 50cm tube. This system is designed to withstand heavy use. 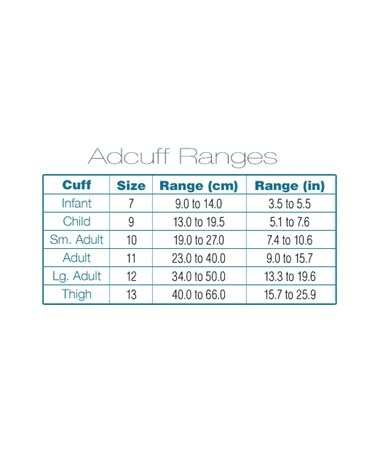 Adcuffs are marked with ADC's proprietary Size Guide, a unique system which communicates the size of a cuff using words, numbers and pictures and features an artery marker to prevent miscuffing and minimize patient discomfort. AdFlow System: Comprised of a chrome plated brass air release valve, ADC's AdFlow system offers precise inflation control. Its filter screen and deflation valves prevent dust build-up, guaranteeing years of reliable use. Available in a range of sizes. Please see additional images for details. Available in a huge range of colors and patterns. A selection of these are available at this link; please see identical product (search 865-11ADG) for updated color choices.